The cast for Paramount's upcoming Transformers: The Last Knight is getting quite full, and now the studio has added an all-time great to the 5th entry in the franchise. 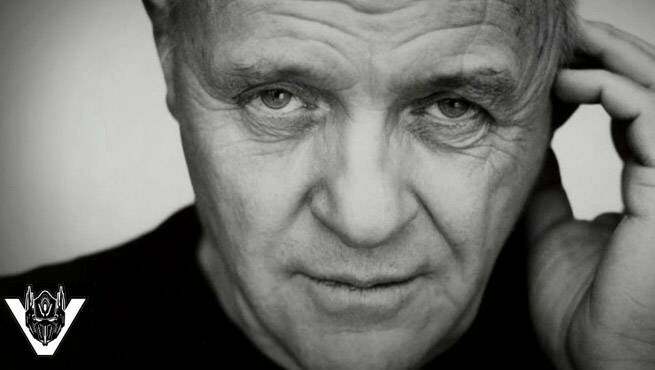 The film announced on their Twitter account (via The Wrap) that Sir Anthony Hopkins is joining the cast. "The man, the myth, the legend – help us welcome Sir Anthony Hopkins to the #transformers universe." As to who he will play, no one knows yet, but the actor joins returning leading man Mark Wahlberg (Cade Yeager), along with Josh Duhamel (Colonel William Lennox), Isabela Moner (Izabella), Jerrod Carmichael, and of course, Peter Cullen as the voice of Optimus Prime. Optimus Prime's number one enemy will also be making a return. The studio teased some promotional art of Megatron on their twitter account, with the caption: "It's starting. This week production. Megatron is back #Transformers #Decepticons." For a star of Hopkins magnitude to join an ensbeble like this, the thinking would be that his role is pretty significant to the main plot. Whether he turns out to be on the side of the Autobots or Decepticons remains to be seen, but what does seem apparent is the studio's efforts to pull out all the stops on The Last Knight. Hopefully it pans out, and makes the new entry in the franchise something to remember.